If you’re like me and jump into the latest and greatest ocean of software without first checking to see how deep it is or if there’s wana in the shallows you can get hurt. 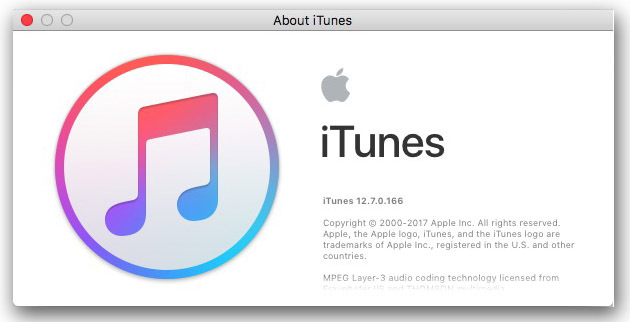 I updated my Mac’s iTunes to the latest and greatest v12.7 yesterday on its release without first checking to see if anyone had issues with it. The first thing I noticed was that Apple ripped-out all the iOS App stuff. There’s some good and bad as noted in this post online but what concerned me most was the loss of the File Manager which allows easy sharing of files from my Mac into the sandboxed apps of my iPhone. File Sharing is especially useful if you’re a photographer than needs to SFTP images to a server from location. So I hastily posted a warning on facebook for people to wait until September 19, 2017 for the release of iOS 11 and the new File app which will allow deeper file access to iOS. I also re-wrote my tutorial on how to create an ad-hock network on the Mac (and linked to the crazy steps for Windows) so others can learn how to transfer files to an FTP app. All was for naught as Apple was nice enough to retain File Sharing in the iTunes sidebar menu for connected devices. So yet another update and you can see how to get it done here. It’s still a useful tutorial, it just needed this crisis push to get updated. The next big challenge is when MacOS High Sierra is released. Users will have the option to convert their storage structure for hard/SSD drives to APFS (Apple File System) for optimized performance. The problem is that if you own something like Paragon HFS+ to access Mac files from Windows you’ll be out of luck as it won’t read APFS volumes. Also I’m not sure how NAS/RAID units will fare or file sharing drives attached to routers. Hopefully I won’t just jump in this time without checking to see what’s below the surface of this new software.